This is it folks my last boredom thread, I swear, hopefully I've kept some of you at the very least occupied the past two days. Now then let's get to it! — Is the first cutscene we see in KH3D a flashback to 10 years before the first Kingdom Hearts when Xehanort and co. lost their hearts in an experiment? Nomura: That’s right. That’s because in a sense it was the beginning of the story of this title. Now we know that figure we see stabbing Braig here is Apprentice Xehanort for a couple reasons. 1) Riku pointed out in DDD when confronting Ansem that Ansem had lost, for whatever reason, MX's keyblade. As pointed out by Young Xehanort this being is Xehanort "reduced to just a heart". The heartless born from the fateful experiment depicted above. –The initial members of the Organization abandoned their hearts intentionally? Why, now, do they collect hearts? Nomura: The reason is to have a ‘complete existence.’ KH1’s Ansem (Xehanort, stealing this name) had a purpose, and realizing that he had transcended being a human, turned into a Heartless. Xemnas remembers that purpose, but as a Nobody, ‘an empty shell,’ collects hearts to become complete. The other members of the Organization have their own expectations, but are there mainly for the purpose of collecting hearts to complete Kingdom Hearts, as only Xemnas stared ahead and made it a priority. It is natural that Nobodies, who do not have hearts, demand hearts, though it may seem that Sora’s defeating them is unnecessary, the Organization members don’t look for their own hearts, but collect many from unspecified persons, and use them instead, placing the hearts in a situation where they cannot go back to their origin. That is, of course not to say that YX is wrong either one just has to remember that what a heartless truly is at it's core is just that; a heart. A heart that was cast from it's body+soul and consumed by it's own darkness becoming a void of instinct. Nonetheless though they are called "heartless" because they lack a sense of self they are still very much just an existence of just a heart. Which is what Ansem SoD is. It seems like I'm rambling obvious facts here but I assure you I'm not, what I'm doing is pointing out that for a fact the person in that scene is the Apprentice though just a few moments before he turned his keyblade on himself and becoming "Ansem". But doesn't this course of events seem rather odd to you? He was supposed to have amnesia but here he is swinging around a keyblade. But I dont think that to be the case. Diz (Ansem the Wise) points out a couple times in his kh2 secret reports that Xehanort regularly/occasionally displayed "super human" feats. He also points out Xehanorts curiosity and how he readily, and (implied) quickly, absorbs Ansem the Wise's teachings. But most importantly there is the matter of Xehanort opening the door/keyhole to Radiant Garden. In the kh1 reports he recounts this moment which he found and opened the door by following a heartless to it but what's important was that he opened it. How could he open something that only heartless & keyblades can get into when he isn't a heartless yet nor supposed to be able to remember the keyblade? Simple, because he remembered, at least remembered something. Nomura: Something happened between "Birth by Sleep" and "Kingdom Hearts". The incident was in the Ansem Reports in "Kingdom Hearts". Whether or not he really lost his memories... Braig doubted as much in the Secret Movie of "Birth by Sleep". I find this quote rather stand out, namely the part in bold. Does it not seem odd phrasing to you? It's no outright confirmation but it is certainly no denial. The wording itself almost makes it seem like Nomura is backing Braigs assumption to me doesn't it you? If he had really lost his memories wouldn't Nomura point this out? But instead, if anything, Nomura seems to go along with Braig's assumption. So what do you think? After taking all this circumstantial evidence into account what do you think happened? Was it merely him being disoriented when Ansem the Wise found him? Or did he forget only to remember during the experiments? Also there are those who go about the eyes but to me this is irrelevant in this case. The eyes and ears are a sign of Xehanorts influence and we know for a certain that Xehanort was within the apprentice so the whole bit of eyecolor doesn't really seem all that important to me here though feel free to add anything revolving your view on the eye bit, I dont mind. Something I forgot but if Xehanort never truly lost his memories then that also means something else...that the individuals Terranort, the Apprentice and Ansem, all presumed separate identities of Xehanort are actually all the same man. Because if Terranort never forgot then he and the Apprentice would obviously be of the same mindset and of course Ansem is the heartless of this man that curiously retained his sense of self as we see him mention in the kh1 reports. Basically it would mean that rather than separate versions, all three of these people would be Master Xehanort. Look after 02:25 when Xigbar says "Hey...you're note...Terra?" Apprenticenort just grunts and close his eyes a little like he's saying "are you stupid Xigbar? I'm Xehanort!" And then Ienzo suddenly turn back and look at him: do you remember CoM? Zexion is the one who talks about "Darnkess' smell" with Riku, may has he sense something? It could go either way. I like to think that Apprentice Xehanort was almost totally amnesiac, and a few bits and pieces came back to him, Xemnas and Ansem over time. That's because I really don't like thinking of them as all the same character. Besides that being dumb (why do they all act so differently?) It invalidates 3 whole distinct characters, and makes them all just Xehanort. Besides that being dumb (why do they all act so differently?) It invalidates 3 whole distinct characters, and makes them all just Xehanort. Technically they all ARE Xehanort, every vessel is. As for the distinct part you'll have to elaborate because no Xehanort shown so far has actually been completely distinct or very far from the source in terms of personality. All the Xehanorts share a part of Master Xehanort within them and by extension they all share a consciousness with him to an extent because of that. Even people who only carry small seeds of his heart bend to his will. Ansem and Xemnas, being of direct connection, are also heavily dominated by his traits. Not that I dont think him really forgetting and then remembering isn't very likely I'd just like an elaboration is all especially since we know pretty much nothing on the "distinct" characteristics of the Apprentice. We've only seen him in three scenes, the flashback in kh2, the blankpoints of BBS were he never even speaks, and the opening scene of DDD were he's on the verge of becoming Ansem. Terranort wasn't exactly "distinct", or at all, either sine he was just Xehanort going for a joy ride in Terra's body. Xemnas was a bit more distinct yes but of course this is natural as the nobody is "another you" however this part wasn't covered in my post I said that it would mean "Terranort, the Apprentice, and Ansem were actually the same man"
I never said anything of Xemnas because I done know of the quote that says he functions under a different mindset to Ansem. X. KH's Ansem (Xehanort) seems to have thoroughly gotten rid of his own heart, but Xemnas (Xehanort) commanding Organization XIII is seeking a fresh heart. If I understand that in becoming a heartless and a nobody, they became 2 different people, would their minds then as well become seperate? Also, the original Xehanort should have some memory loss but in the additional scenes this time there seem to be some questionable parts. Have his memories returned, or perhaps the memory loss itself was a lie? In essence, the two are the same. However, they function under seperate minds. Xehanort most certainly got rid of his heart, and at that time it's assumed a Nobody was born. The means of obtaining their goal is different due to the nature of Heartless and Nobodies. However. I think for both of them the desire "to become a complete existence" is the same. This time the new mysterious keyword "Xehanort's memories" is left behind. In the "Secret Ansem Report" that Ansem the Wise wrote and mysteriously left behind, there is a hidden secret that will have a big influence on KH. As for the contents of his memories and the present condition of them, I cannot reveal that just yet. This however is never pointed out to be the same for the heartless Ansem, Terranort or the Apprentice. Unlike Ansem, Terranort and the Apprentice who are either largely the same in behavior or not enough is shown of their behavior (the Apprentice), Xemnas is different he's shown to have Terra traits mixed in with his dominant Xehanort ones. (i.e calling Aqua's armor "friend", basing the nobody emblem on the emblem of TAV and Eraqus, searching for ventus (though the ventus part may be both Terra and Xehanort in him)). The way I see it, it's like this. Ansem is a being taken by the Heartless, so he's basically a Xehanort intoxicated by darkness. Xemnas seems like an entirely different person from Xehanort, and not just because he's part Terra. His mannerisms are all different, and certain actions he takes just don't fit with my image of Xehanort (playing off of Ansem like he was his actual student instead of, apparently, manipulating things from the start; thinking of hearts as nothing more than power when you'd expect the scholarly Master Xehanort to know better, treating his organization as extremely disposable instead of invaluable to his plan). As for the apprentice, we indeed do not know much about him. Our main source of knowledge regarding him are the Ansem reports. Which, again, don't seem at all like the sort of thing that Master Xehanort would write. On several occasions the reports talk about "new" discoveries that Xehanort would've already known about long ago. And what's with the borrowing of Ansem's name? Does that seem like something that a scholar, accomplished in his own right, would do? Or does it seem like the act of am amnesiac, so desperately searching for an identity that he takes on that of another? There's also a bit of wish fulfillment in the apprentice being a new personality, because I just find that more interesting. It means that the bonds he makes with Ansem and his apprentices aren't formed on pretense, and without memories he is no longer the all-knowing, invincible Master Xehanort. Ansem isnt a being taken by the heartless he is one, though that doesnt make this any less true. Fraid Im gonna have to stop you there for two reasons. One being that, while he does have his own unique mind, Xemnas isnt entirely separate from Xehanort none of his selves are. Braig even pointed out that Xemnas true plan was to find 13 empty vessels for the original MX's plan of getting the X-blade. He has defining quirks but he is fundamentally Xehanort. The second thing Im gonna point out should already be obvious but Master Xehanort has little regard for the hearts of people even though he is a keyblade master. He ripped Vens in half for his plans and invaded Terras to prolong his life so your bit about either him or Xemnas supposed to think of as hearts being more than power isnt valid. Yes they know the heart is more they just dont treat them as such, as Sora put it in DDD to Xehanort and Xemnas and the rest of his selves the hearts of people are more or less "bottles on a shelf". And again Im going to point out to you that I never said anything of Xemnas being of the same mind as Ansem or the Apprentice in my OP for reasons stated in my post prior which you didnt seem to take to heart. So Im not sure why you keep bringing Xemnas up. Xemnas is confirmed to function under a different mind but also confirmed in DDD to be closely following MXs plans, as well as confirmed to have MXs and Terras memories divided between himself and Ansem. He has his own mind but it is still Xehanort dominated so any mentions of him here are kinda redundant cause the facts you keep bringing up are known and confirmed with the quotes I posted before. I dont say that out of meanness or to be a d*ck I just dont see point in bringing up a matter of a topic that is confirmed, and which we both agree on, which in this case being Xemnas having a unique personality. The validity of the reports though can be called into question because he not only uses a stolen name but also writes a facade of meeting Mickey when it was Diz who meet him. Nor did he write the first report which is pointed out in kh2s reports by Diz. You do however have some points here because there was some things MX should've known like the keyhole in Radiant Garden and of the heartless which showed he could summon in a bbs flashback. But there are also holes in this because the Apprentice done things an amnesiac keyblade master shouldn't remember like opening the door to RG which only keyblades and heartless are known as being able to get into or the opening of DDD were he uses Xehanorts keyblade. You also have to remember that while a scholar himself Master Xehanort isnt all knowing and is a very curious being so there may have been things he actually learned in those experiments, he after all never explicitly states what his "discoveries" are. We know they lead to him finding a way to make the fake, later dubbed 'Emblem', heartless. And we also learned in DDD that the experiments in question had the main purpose of convincing the heart to, in Xemnas words here, "renounce its sense of self". Now you tell me why would the Apprentice care about the heart renouncing its sense of self? Thats something Master Xehanort would be interested in since a vessel with no identity would be easy pray for possession. This isnt a subject that the supposedly amnesiac Apprentice would care about since he has no memories. You see what Im pointing out here dont you? The truth is we have no indicators of a "distinct" personality because basically nothing is known and there are more things leaning toward MX influence rather than self interest. Yes, he's Xehanort, at least to the extent that body and soul have identity. But he's very distinct. Oh? Well I'm sorry, but normally being "the same person" means more than having the same "form." If a distinct personality rose from someone's body and the life energy of that body, I'd be inclined to call them a different person. I mentioned Xemnas in the part you quoted. So I felt inclined to talk about him. Sorry. A charade. If he's gonna be Ansem, may as well go all the way. But I see little to no reason why he'd go so far as to falsify his experimental records. It's not unthinkable to assume that summoning the keyblade is like a reflex: you can retain or regain that ability even if most of your memories are gone. That is something of a sticking point. I like to think that taking on experiments like that was akin to a nudge. Xehanort subconsciously guided himself to his natural curiosities, even if he didn't remember what they were. You might call that a stretch, but I still think it's a superior reading of the situation. More frankly it's a load of retcons, and me just trying to put them together as best I can. I'm glad we can agree on him at least temporarily forgetting. The body+soul he was born from was Terra's not Xehanorts, it's his mind that is his distinct yet norted identity. Fair interpretation. Oh? Well I'm sorry, but normally being "the same person" means more than having the same "form." If a distinct personality rose from someone's body and the life energy of that body, I'd be inclined to call them a different person. This is kh so the form thing has been stretched regularly. Technically Terranort, who really is the same as MX just in a different body, is the same as the Apprentice but the odds of them being the same person mentally is iffy. Then you've missed the point of DDD and all of Xehanorts vessels. They are all different but they are also all Xehanort, alternate versions of him but still a variation of the man Master Xehanort. It's not that you want to talk about him that I was getting at but rather by mentioning him in the case of Ansem and Terranort when I didn't and pointed out with confirmed facts that they are different which is equivilant to putting words in my mouth. However if that is cleared up I have no issue involving him in the discussion but please dont act like Xemnas is a totally different man when there is a quote showing he is, using the exact words of Nomura, "essentially the same man" just with a different mindset to his original. Its basically being in denial of established fact. Xemnas is distinct for a number of stated reasons, he even goes as far as to show Terra traits, however his majority is Xehanort and there is no getting around that. I never said he falsify the experimental parts only that some of the reports can be called into question. After all as I said he never explicitly states what his experiments were or what he his discoveries were. All we know is that he learned to create Emblem heartless from these experiments and that the intention of them was to convince to heart to renounce the sense of self as stated in DDD by Xemnas himself. VII. In KH, at the same time Sora became a heartless Roxas was born and entered the Organization. So if that's the case, at that point in time at Castle Oblivion, Sora used a keyblade while at the same time, Roxas would have been using a keyblade. Was this Sora's keyblade? Within the organization, I think we particularly saw Roxas using a keyblade. And similar to Roxas, Sora served as another Keyblade Master conviently gathering hearts. So why was the Organization defeated? The keyblade that Roxas used and the Keyblade that Sora once lost in Castle Oblivion are the same thing. Furthermore, these two both used the keyblade at the same time. This can be explained by the relationship between Roxas and Sora. Thus, they both can wield two keyblades, in fact, has an important meaning. This is also related to Xehanort's memories, but this point can't be touched on just yet. Furthermore, from the time that the two were both using the keyblade at the same time, the Organization itself was using Sora for their ultimate goal. Soon enough, each of the Organization's expectations differed. By changing Sora and Roxas's movements, eventually they became unable to use Sora for their true meaning. As a result, Sora became an obstacle to the movements of the organization itself and he had to be defeated. But even if Sora were to be defeated, you could say there are other things to think about in making that sacrifice. While that doesn't mean it's impossible that doesn't mean it is either, there's no proof to show either. I'm sorry but to say your personal opinion is a superior reading comes off as uppity to me. Dont get me wrong though that is definitely a possibility and one I find very likely however I dont find it superior to all the other theories I've seen over the years because they all hold equal ground of feasibility. Calling them retcons is to easy a write off. Yes some things are retcons like Ansem (kh1) not being ansem, the report claiming he meet mickey, and him being the author of the first report. These three facts are indeed retcons however the rest aren't because there's no information and due to the fact that most of the reports are over his thoughts about things rather than lists of theories or facts that are later changed. A retcon is an established fact later altered and only three of the reports fit that bill. — What happens to the hearts of those who have had Master Xehanort’s heart planted within them? Nomura: They’ll gradually be swallowed by it. As for Master Xehanort, he plans to control them completely. The planted parts of the heart are captured rather than disappear. So I think him having actually forgot at first incredibly possible but the fact that MX eventually overrides the heart of his hosts means that whether Xehanort forgot, Terra forgot, they both were sealed and a new persona formed, that as time went on and as he experimented MX finally "swallowed" him taking control. However if that is cleared up I have no issue involving him in the discussion but please dont act like Xemnas is a totally different man when there is a quote showing he is, using the exact for of Nomura, "essentially the same man" just with a different mindset to his original. Yes, it was a small disagreement at that, we can let it drop since it's just splitting hairs. Besides that scene in the chamber of repose, what traits of Terra does he even have? And honestly, if you had come to me prior to the finale of Birth By Sleep and said he and Master Xehanort were different people, I'd easily believe that. He may still be Xehanort, but he's different enough that it's not obvious, at least not most of the time. A lot of the stuff he learned in the experiments seems like stuff he'd already know, like the nature of the heartless or the existence of other worlds and keybearers. He even mistakingly assumes that the core of a world is the realm of the heartless. Sure, he could be feigning ignorance, but that seems so contrived and unnecessary. It makes more sense if was truly amnesiac. Ventus summoned a keyblade on Destiny Islands, even when he had no memory. It's not definitive proof, but it's enough for a theory. Uppity? Perhaps. As I've said, I just find it far more interesting and logical that way. It is a retcon for someone to write several personal reports to themselves about their research findings, only for it to later be revealed that they already knew almost everything they found out from beforehand. It seems extremely unlikely that the first moment Xehanort took control he decided to call himself Ansem. He has zero reason to do that, especially if he just regained his identity. Even after Xehanort was split into Ansem and Xemnas, I think there was a lot of amnesia troubling them. That's why "Ansem" calls himself Ansem instead of Xehanort, and why Xemnas frequented the Chamber of Repose. Q12: Why is Xemnas searching for The Chamber of Awakening? The Chamber of Awakening is the room where Aqua leaves Ventus sleeping in Last Episode, and is a part of Castle Oblivion. As you can see from Xemnas calling Aqua’s armor “friend”, it seems Xemnas has Terra’s memories and so is searching for Ventus, and is making the other Organization members look for The Chamber of Awakening. Aqua leaves the sleeping Ventus in The Chamber of Awakening. The only one who can solve the mysteries of Castle Oblivion is Aqua, so the Organization was never able to find it. Xemnas seeks kh like MX, as showed in DDD he was also out to get the X-blade (which requires 13 dark vessels he intended to create) which ties back into his desire for kh, he (and ansem as well) are of intellectual nature like MX, he made the coat first worn by MX the org's standard outfit for human like nobodies. Pretty much most of his nature was very in-line with Xehanort even if he had a mindset of his own or talked in a more refined manner. To say Xemnas isn't very much like Xehanort is, to me, to be in a state of denial. Which is an odd stance to take when you have games and nomura pointing some of these traits out. Again his experiments aren't specified, you can dig all you want, but you'll find no specifics. The things your talking about are him sharing ideas or knowledge he already knows or hypothesizes but no actual experimentation. Things like the nature of heartless and especially the existence of other worlds are established before you find the reports when Sora encounters Loen and gang. Keybearers were also established outside the reports and the reports them selves only cover the keyblade in one short passage which is the already pointed out falsified meeting with mickey. He never says the heart of a world as in a singular one like Radiant Garden but rather in the plural sense of the larger world outside them, and even if you disagree it can still be interpreted that way since the source of all hearts and "greater heart" the heartless seek, Kingdom hearts, is lost within the dark realm which is very much populated and dominated by the heartless so this wasn't a retcon. Just as people have hearts, so do worlds. The same can be said of stars in the night sky. And deep within each world lies a door to its heart. The Heartless desire those hearts. Born out of darkness in people's hearts, they seek to return to a greater heart. Yes that's it. The Heartless come from people's hearts, as does the darkness. Is the core of the world's heart the world of the Heartless? I will pursue the answer there and become all knowing. My path is set. I shall seek out the wielder of the Keyblade, and the princesses. My body is too frail for such a journey, but I most do this. I will cast it off and plunge into the depths of darkness. Pretty much everything you listed is stated outside the reports before you get them, haven't once been retconned (except for your mention of the keyblade report), and most of what is written in a tense that he done knows it's fact like MX should. Like him mentioning how opening doors destroys it's protective wall. And while he knew of heartless as MX it's never said he knows how they come to be, after all in the time of bbs heartless are scarce if not non-existent in the realms of light and between unless summoned there. Him seeing someone actually turn into a heartless could've very well been his first time seeing such a thing. And thats fine but that doesn't make your way any better or more true than the others people hold. No it's not because of reasons I done pointed out, your only jumping to retcon for ease of mind. And likewise if he truly forgot he'd have no reason to call himself "Xehanort" but he did. He also had no reason to try and destroy Ansem or frame him but he did, that doesn't mean he was truly amnesiac. The whole incident with Ansem the Wise itself made no sense whether he remembered or forgot so you'll have to find better proof than that. 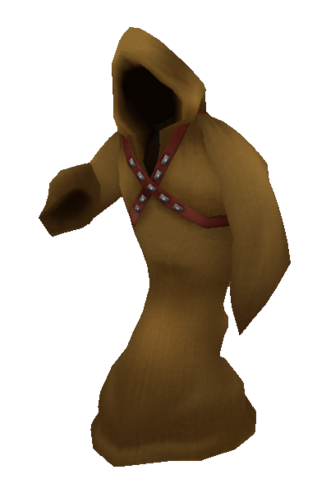 -- In "KHI", the robed man, Ansem the Wise's apprentice Xehanort's Heartless (the body of Xehanort's Heartless before he inhabited Riku's body), appeared on the Destiny Islands. Is this because it was Master Xehanort's homeworld? Nomura: That may be one reason, but if he somehow had some of Terra's memories, we can consider that it might be because he had laid eyes on Riku previously. In terms of the elements of Terra and Master Xehanort, I think the questions of how their power is related and divided, as well as who has whose memories and heart, will become a key to the story * after this one. They both definitely remembered things at that point it's just that we dont know who inherited what portions but nonetheless both are within Ansem and Xemnas as a fact. So your point here about them keeping the name and anagramed name of Ansem/Xemnas holds little water. At this point they both remembered enough to act on MX's plans, know of the keyblade and it's workings, how to form artificial kingdom hearts, how to possess the bodies of others, how to create vessels, etc. The list goes on, the truth is there is no reason for the heartless and nobody to keep those names because they remember enough. They however do keep the names for whatever personal reason. If anything formed the personalities of Ansem and Xemnas it was the mixing of Terra and MX's lingering minds and memories. Q8: Who is Apprentice Xehanort really? Master Xehanort wishes to bring back the Keyblade War and see what happens afterward with his own eyes, but once he found a way to accomplish this he was already an old man with only a few years left to him. Wishing to become young again, he finds Terra, and defeats him with darkness so he can take his body. That is the Xehanort that Ansem the Wise picks up, and makes his number one apprentice. Master Xehanort has taken over Terra’s body, but Aqua tries to get Terra’s heart and self to return to it. Afterwards he loses his memory and is picked up by Ansem the Wise. Calling himself Xehanort, he becomes Ansem the Wise’s apprentice and goes into the study of darkness. Xehanort’s Heartless calls himself Ansem Seeker of Darkness, and his Nobody calls himself Xemnas. So yes indeed we have a bluntly stated truth that Terranort really did forget! Or at least he forgot in the beginning. Because I also posted a quote above with Nomura also saying Ansem and Xemnas remember things from Terra and MX as well which tells us something important. That thing being that even though the Apprentice had no memories at first at some point in his tenure as a Xehanort the Apprentice began to gain some memories back because he does use MX's keyblade, we've seen it. So we can now say for a certain that the Apprentice did very much have amnesia at least at first, the fact his nobody and heartless remember and the fact he was using MX's keyblade also shows that at some point he remembered things. The correct answer, to my own poll, is that he did indeed forget at first but later remembered. He has several things linking him to Xehanort, yes. But nothing about how he acts screams Xehanort. His wanting Kingdom hearts isn't unique to him. The X's and the coat are weak evidence, but not definitive. I'm not trying to stress this point, especially since we know he's Xehanort, but it's easy to imagine an alternate world where he's not Xehanort. As opposed to someone like Young Xehanort, who is blatantly and definitely Xehanort, couldn't be replaced in the narrative by anyone else, and says he's Xehanort on several occasions. You're right, we probably should just drop this. Yes, that's what I was trying to say. The conclusions he reached based on his experiments. I wasn't talking about the information itself being retconned. I said that Apprentice Xehanort knowing the information beforehand is a retcon. Why is he even writing the reports? If he knew about the Heartless beforehand, why does Ansem Report 2 say this: "Some time later, I went below and was greeted by the strangest sight. Creatures that seemed born of darkness...What are they? If he's been to other worlds, why does Ansem's report 7 say "I wish I could soar off and find out! Could there be uncharted worlds up there? " If he has no memories it makes perfect sense. But if he has memories, then he is lying about being Ansem for no reason, to the point of obscuring knowledge he's already aware of! Because the alternative doesn't seem to make sense. And likewise if he truly forgot he'd have no reason to call himself "Xehanort" but he did. I think he only remembered bits and pieces. Like his name, or his keyblade, or the X. He also had no reason to try and destroy Ansem or frame him but he did, that doesn't mean he was truly amnesiac. If he was an amnesiac I could see the appeal of stealing someone else's identity. But Xehanort is a proud man, not the sort I'd expect to try that. At this point they both remembered enough to act on MX's plans, know of the keyblade and it's workings, how to form artificial kingdom hearts, how to possess the bodies of others, how to create vessels, etc. And what's to say that they weren't merely aware of each other? The Heartless and Nobody remembered how to create kingdom hearts because it was Xehanort's strongest desire, and they remembered his powers because they were deeply engrained like reflex in their bodies. And so together they made a plan to create kingdom hearts, without remembering their origins. It's hard to say how much they were aware of prior to DDD, since they didn't talk about it much, and afterwards they meet up with Xehanort, who could've filled them in. Rolands just stop your arguing against an established fact by nomura. He said they had memories of Terra and Master Xehanort and unless you want to call him and can get him to say otherwise your not gonna disprove this. Your arguing against the highest tier of canon on this one and your not gonna win it. My apologies. I will now concede. You did indeed prove that, of all the theories I remembered and gathered for discussion, that at the very least he did have amensia at first. How fortunate. I think I took my theories a bit too far, but this thread has helped to mold and solidify my views on canon. And for that I thank you. Dang, Anagram! That is quite the find you found! Now the big question is whether Nomura remembers he said that. I was avoiding commenting here because my reasonings for Terranort having amnesia would have basically been "It makes me feel better and reasons."